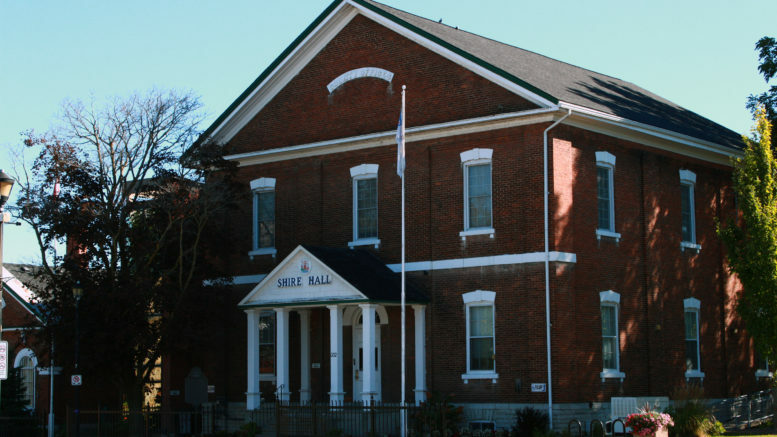 Prince Edward County council has voted to approve and regulate the local Short Term Accommodation market. After a short period of debate at Tuesday’s night’s council meeting at Shire Hall, Council voted in a recorded vote to ratify a motion made at the Sept. 27 Committee of the whole meeting that will create an Official Plan Amendment and a Zoning bylaw pertaining to STAs and will create density zones and allow a percentage of new STAs in designated areas as long as thresholds have not been met. Existing STAs will be permitted under a grandfather clause as long as they satisfy eventual licensing requirements and are in acceptable zoning areas. In addition to the above motion, staff were directed to bring forward a licencing bylaw by the end of the first quarter of 2019 that will be the vehicle that will enforce the regulations and bylaws passed Tuesday evening. After discussing a couple of what-if scenarios involving three room versus four room bed and breakfasts and an instance where a industrial zoned parcel of land had a site specific bylaw permitting a residence and that residence was now hosting an STA, Councillor Janice Maynard asked Commissioner of Engineering, Development and Works Robert McAuley exactly what the municipality was attempting to accomplish with the passage of the motion. The motion includes a density provision the municipality aspires to and, if that density saturation is exceed in a certain zone, McAuley said the same grandfather provisions would not change the circumstance. McAuley labeled licensing component a different animal, saying it has different parameters and rules when it comes to land use but it was something that needs to be discussed further by the new council when the prospective measures come forward in early 2019. In a recorded vote, Councillor Gale voted against the motion. Councillors Pennell, Forrester, Ferguson, Roberts, Maynard, Turpin, Graham, Dunlop, Fox and Hull all voted in favour of the motion.